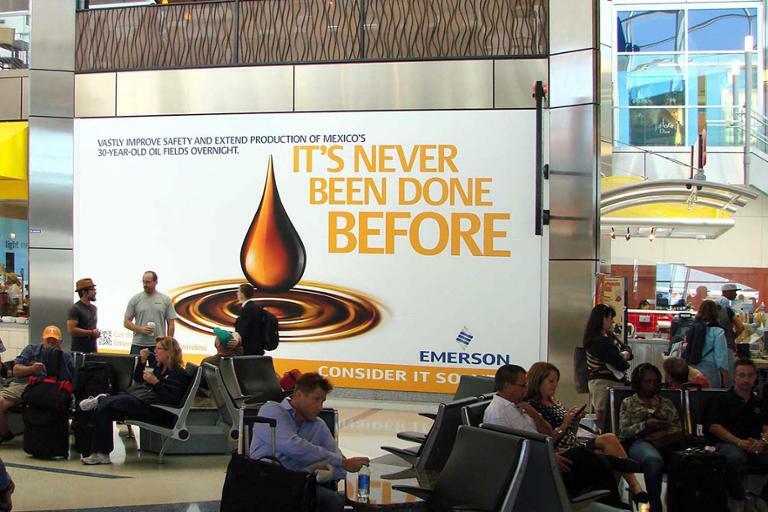 With billions traveling on scheduled flights annually, it’s apparent that airport advertising is an impactful way to capture a large audience. In fact, frequent flyers are highly responsive to airport advertising with 80% noticing the media and 42% taking action like visiting a website, going to a store, or learning more about a product, brand, or service. It’s no wonder that airport advertising is an ideal way for you to promote your business especially with all these options below! Backlit Signs, Spectaculars, and Dioramas: These large posters use LED or fluorescent lights to illuminate your business in heavy-footed pathways like routes to baggage claim and rental car areas. Digital Displays: With full-motion video and animation playing on high-definition LCD screens, it’s easy to pop out and engage with airport travelers. Banners: These are similar to roadside billboards as they are very large in size and attract a lot of attention. With options like suspended fabric, framed or vinyl banners, you can make anyone stop and stare at your advertisement! Demand attention with large banners! Wraps and Clings: Stretch your message across columns, floors, walls, and ceilings for high impact with this pre-printed adhesive material! Baggage Claim Units: Have the eyes of arriving passengers locked on your advertisement as it rotates on the panels on the baggage claim carousel. Baggage Cart Sponsorships: Engage your audience as they load up their baggage on to your sponsored cart. These carts also mobilize your message from person to person as it’s moved across varying sections of the airport. Benches and Shuttle Shelters: Interact with airport travelers as they wait for buses, taxis, and personal cars for pickup. These displays also captivate those waiting to pick travelers up. 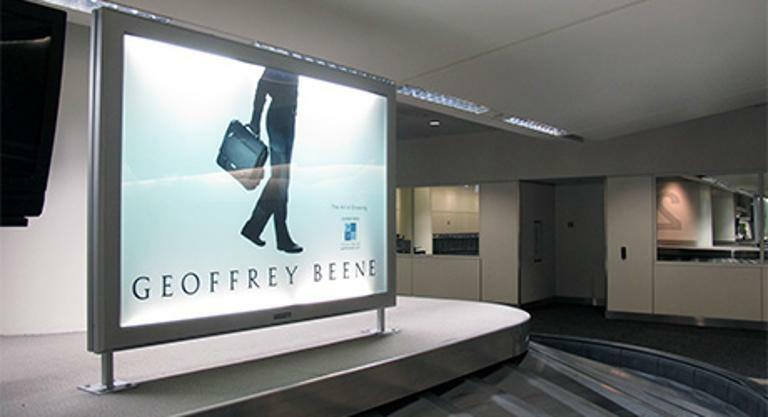 Light up the baggage claim area with a backlit display! Kiosks and Directories: These freestanding units are found at terminals and concourses for a way to connect with travelers as they navigate their way around the airport. Courtesy Charging Stations: By sponsoring charging stations, your business can create positive engagements in high-trafficked waiting areas as travelers charge their devices. Showcases: These exhibit-style cases create a unique way to directly promote your product or service amongst the airport audience. Discover how you can start your airport ad campaign by flying over to BillboardsIn.com!